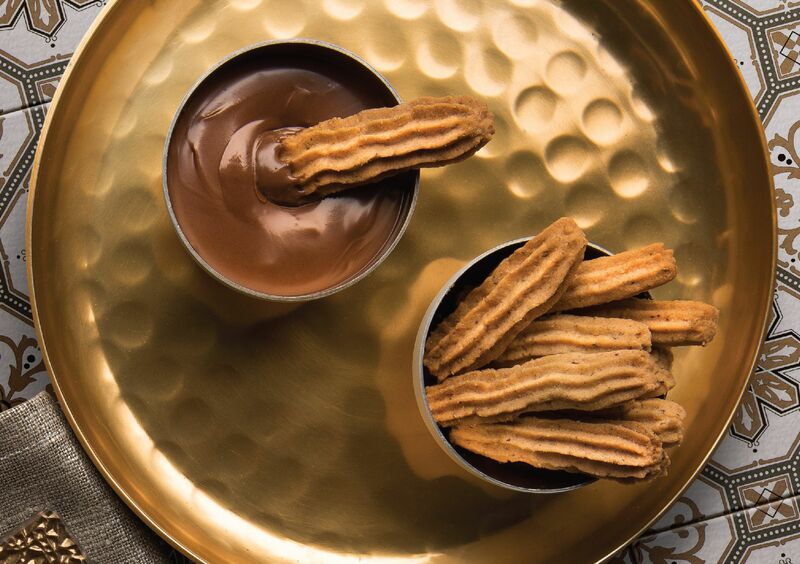 The Hazelnut and Chocolate Semperit cookie takes a fun shape in the form of mini Churros and you can dip it in chocolate hazelnut spread or chocolate sauce as you see fit. Beat butter and icing sugar until fluffy, then add in egg yolk and vanilla essence. Combine with flour, ground hazelnut, corn flour and custard powder. Knead into a dough. Place dough into a piping bag or pump and press it to a 4cm strips. Bake at 160ºC for 15 minutes or until cooked. Serve with chocolate hazelnut spread. What is hazelnut spread? Is it in cream form? Thx. One more question. Why there is no chocolate ingredient when the name is Hazelnut and chocolate Semprit? Tq. The chocolate in the recipe comes from the chocolate hazelnut spread used as a dipping sauce. Sorry we missed out the chocolate from the hazelnut spread. One common chocolate hazelnut spread is Nutella.